As is not unusual when big news breaks, malware authors try to take advantage of the situation.A global computer virus that hides in an email about Gaddafi's death has been detected by Norman. The malware was caught in its worldwide network of spam traps. The email below was sent to a mailing list that receives information pertaining to the Uighur people. The mail appears to have been sent from Korea. 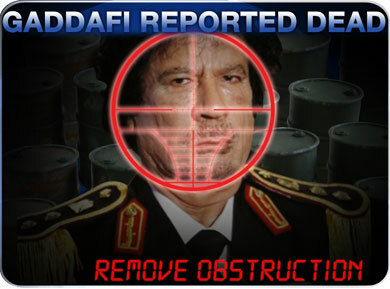 Malicious hackers have spammed out an attack posing as pictures of Gaddafi's death, tricking users into believing that they came from the AFP news agency and are being forwarded by a fellow internet user. As unlikely as the legitimacy of these emails may seem - in this case, the latest photos being forwarded to you in an email attachment - the news is often just too interesting for people to ignore. Internet users are advised to avoid opening the email and updating or applying their security settings.